Like Pendrecht, the district of Zuidwijk was laid out in accordance with the 'neighbourhood' concept of open urban planning with masses of public green space and using industrial building systems. Zuidwijk comprises six residential districts almost exclusively of low-rise. Shops and services are concentrated round the thoroughfare, Slinge; churches, schools and other amenities are ranged round two central squares. 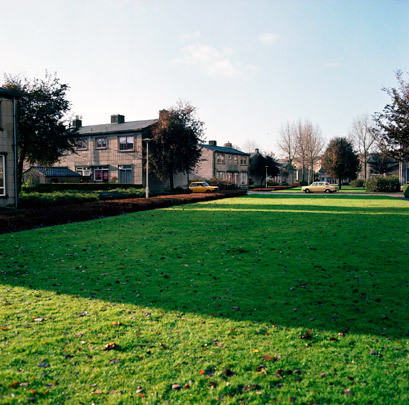 In view of the housing shortage, 7100 housing units were eventually built instead of the planned 4300 housing units to the regret of their architect, Willem van Tijen. The first eight units were delivered in 1951 on May 18 (the day the city's reconstruction began in 1947). The best-known estate was De Horsten, designed by Van Tijen in the industrial RBM system. just one block at Ellenhorst 2-4 recalls the original estate of almost 1000 duplexes built between 1950 and 1953. Beginning in 1993, the entire area was demolished and replaced with a varied development of units for sale or rent. Van Tijen designed housing in two further areas, De Kampen and De Hoge Steinen. Other architects engaged in Zuidwijk were Groosman, Jos and Leo de Jonge and the council's Public Housing Agency. Schere south of Slinge contains some blocks of housing incorporating prefabricated concrete elements and typical 1950s decorations by Jaap Schipper, an architect from the Zaan area north of Amsterdam. At the back of Schere is a rare example of a Den Hollander standard school with a circular playground.